American Muscle Cars 2019 features 16 months of brutish machines from America's fastest decade, captured in all their glory by renowned auto photographer Tom Loeser. The Editors of Motorbooks know their craft. 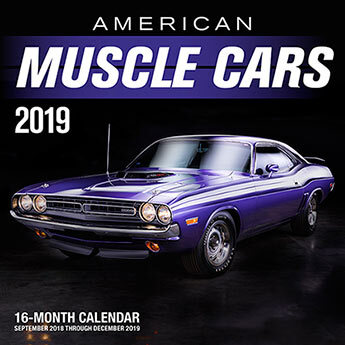 Motorbooks is among the world's leading transportation publishers, offering books created by motoring's top photographers and writers, many created with major partners like Harley-Davidson, Chevrolet, Ford and Chrysler and magazines like Hot Rod and Cycle World.